Without knowing the capabilities of old and new technologies with new functionality and cost saving features, it’s highly likely that the wrong selection will be made. Understanding SIS and the pros and cons of mechanical switches, smart switches, and safety and process transmitters will help you make the appropriate choice. Safety system sensors deployed in combination with logic solvers and final elements that make up a Safety Instrumented System (SIS) have evolved significantly since their inception 80 years ago. Without knowing the capabilities of old and new technologies with new functionality and cost saving features, it’s highly likely that the wrong selection will be made. 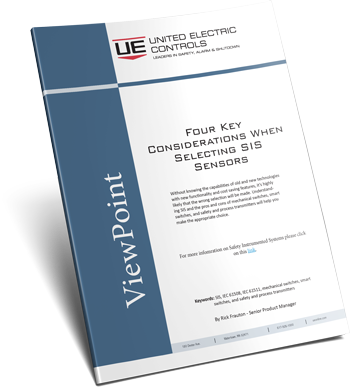 This paper covers the pros and cons of mechanical switches, smart switches, and safety and process transmitters will help to make the appropriate choice.